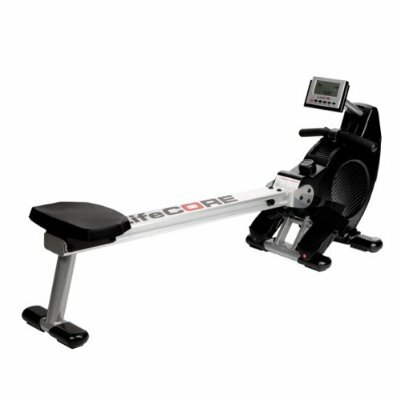 The R88 is a great rower if your space is limited and you just want to sit and row and have a few basic programs. It's a solid, well-built machine that takes up little space, should keep you fit for years, and also folds up neatly for storage when not in use. It comes with 5 programs, including a race/ pacer program, to help vary your workouts for getting the best results. The R88 has 6 resistance levels (although the manual says 8?) that can be selected manually using a knob under the display unit. You can set targets for your workout, such as distance or time, and watch your progress on the display as you row to achieve them. The race/ pacer program is a good motivator. You select the distance and boat you wish to race against, these range from slow, for beginners, right up to elite rowing speeds if you like a challenge. You and the PC's boat appear on the monitor as you race showing your relative positions. These race programs bring some competition into your training and is a good indicator of your progress. 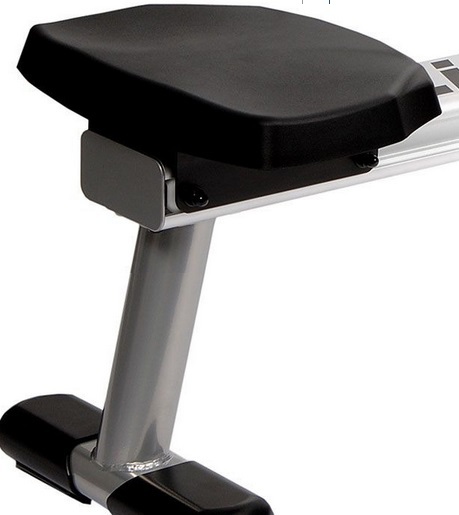 To our knowledge, this is the lowest priced rowing machine with this feature available. However, if you use a rower at a gym (most likely a Concept2), you may find the rowing position takes little getting used to. The footpads are lower than most rowers and some of our reviewers felt they couldn't use their legs as much as with other rowing machines. For most, this wouldn't be a reason not to buy the R88 as you'll still get a great workout, but if you're over 6' you may find it just a little uncomfortable. The LCD display is a good size, well-placed directly in front of you, easy to read and use, although it's not so easy to see in low light as there's no back light. 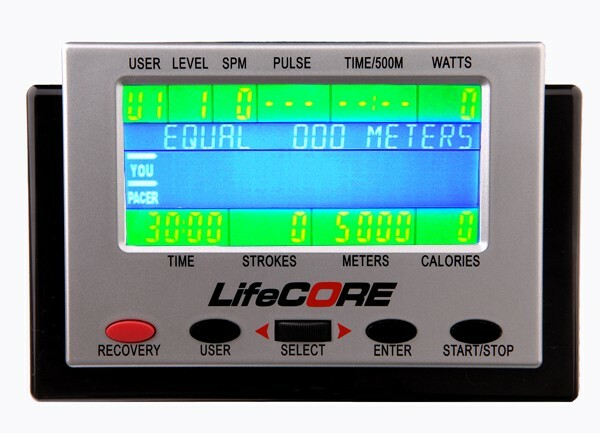 It's compatible with a heart-rate monitor (not supplied) to use with the recovery program to check your fitness level. However, it doesn't come with any pre-set heart rate training programs - which is a shame seeing as this form of workout are considered to best way to achieve your goals. You can devise your own without too much extra hassle, but it's easier if the console can do this for you. All your training information is displayed, such as strokes per minute, total number of strokes, calories burnt, watts (amount of effort), distance rowed, time and your pulse rate (if you have a heart rate monitor). The R88 is a safe buy thanks to the build quality, solid aluminium frame and good customer service from the company. It will last for years, giving you a no-nonsense workout without taking up much space at all. However, if you like more functions and features, you won't get them with this machine - but then you'd have to pay a few hundred dollars more! This is a decision you have to make, but consider you may wish you had the additional programs several months down the line. The rowing position takes a bit of getting used to - high seat. 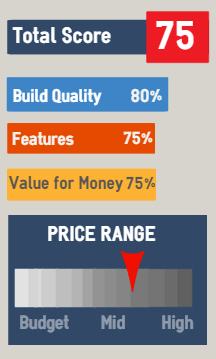 Appears a little over-priced for what you get. If it was $100 less it would be a better buy in our opinion. 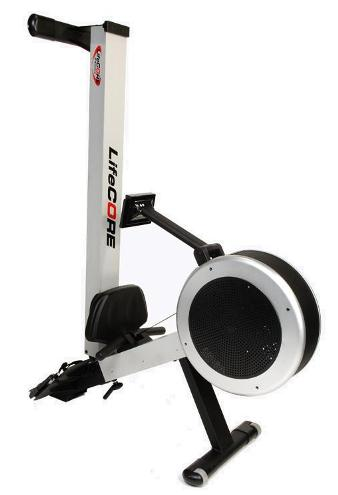 72" x 18" x 34"
The addition of heart rate programs make the Bladez Cascade a worthy competitor, or for more pre-set programs you'll get plenty with the SOLE SR400. The next model up in the LifeCore range, the R100 is a superior model - but almost twice the price. The best seller Concept2 Model D is only $200 more, and well worth considering if within your budget.